House and protect your new National Parks Quarter collection with this custom coin folder for the new release of all 56 National Parks Quarters. 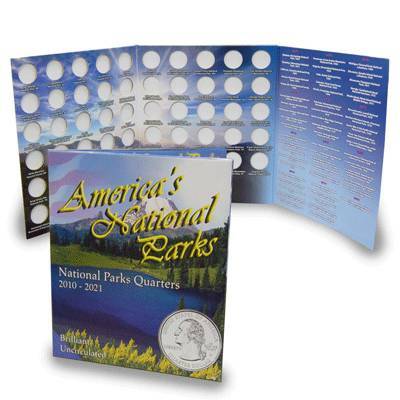 This custom coin folder has marked spaces for the complete collection of National Parks Quarters from 2010-2021. Folder measures 17" tall x 11" long (folded). Get an early start and get your collection underway!